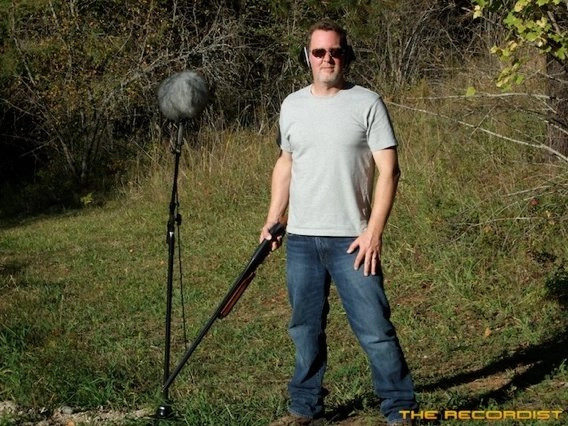 How can you record great sound effects? 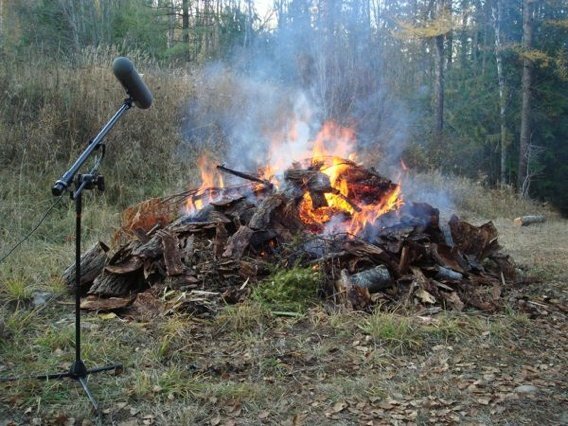 Field recording well requires using gear properly, having a solid recording sensibility, and knowledge of acoustics and signal flow. However, as a listener, these things rarely come to mind when we hear an impressive sound. It’s similar to watching a movie: we never wonder how the gaffer lit a scene. That may come to mind after, of course. It’s the same with sound effects. Whether hearing them on their own or skillfully blended with other audio or video, our first reaction is to simply experience them. We react to booming thunder, a crisp gunshot, or forlorn, howling wind. But, after we’ve assembled our gear, flicked the switches and turned the dials, how can we as field recordists create an experience for our listeners? One field recordist who knows is Frank Bry. Bry is a pioneer in the world of sharing sound. He posts frequently on designingsound.org, sonic-terrain.com, as well as his Twitter stream and field recording blog. Frank kindly spent some time answering questions about his origins in sound design, how he shares sound, and his method for evoking the best possible experience for his listeners. Frank Bry was introduced to sound recording the same way as many other field recordists: through music. Bry began playing bass to Led Zeppelin songs with a high school friend. They eventually committed their own songs to tape. The recording process intrigued Bry: after high school he worked as a recording engineer, and later operated his own commercial recording studio. It was during this time that Bry began experimenting with audio. He used an E-mu Emax sampling keyboard to record his own drum sounds. Sampling fascinated him. The gear he used in music recording began to function less as an instrument itself, and instead became a means to interpret and express sound in new ways. He began smashing and breaking things, and adding these effects to his mixes. Bry continued to explore sound effects sampling, and bonded with local Seattle fans of another sampler, the Emulator III. Word of his sampling skills spread. “After a short while my name got around Seattle attached to the words ‘sound designer,’” Bry said. This reputation secured an invitation to create sound effects for a radio and television campaign for the Goodwill Games sporting event. Bry had never done sound effects work before. It signalled a shift in Bry’s career, and he soon began creating audio for video games. He also continued recording and creating sound effects throughout the 1990’s, and contributed work to commercial CD libraries by publisher Sound Ideas. He had broader ideas about sharing sound, though. Impressed by the calibre of his tracks, pro sound designers began asking for high-quality recordings to use in their own projects. He began selling sound effects for $5 per clip. Sounds were already being sold on the Web from massive, database-driven à la carte websites offering thousands of clips. Bry had a different vision for sharing his work. And, in 2008, the first version of his website shop arrived: therecordist.com. Dozens of sound effect shops were already strewn across the Web. However, word spread quickly about Bry’s SoundBoxes and The Recordist store. Why? 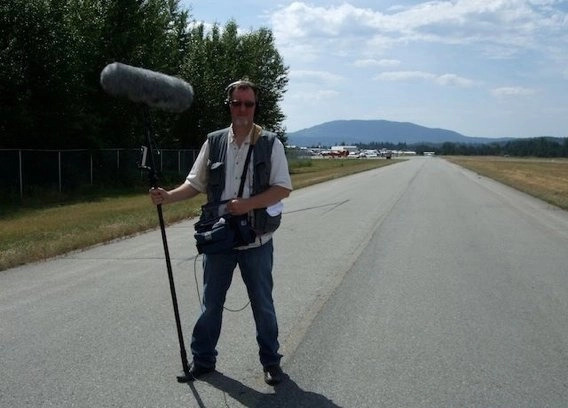 Bry approached sound effects recording differently from existing industrialized publishers. While most of these libraries and websites offered a scattering of sound effects, or a broad category of clips, Bry considered sound effects more carefully. He created his collections with a specific theme in mind. Other sound libraries released atmosphere libraries. Bry took this idea a step further: he created collections of only wind. Other SoundBoxes were similarly focused: rockslides, water, thunder, and even leaves. The collections were instantly popular with fans. While other field recordists had begun collecting and sharing sound effects based upon a single theme, Bry’s collections were different. The collections were large, and gathered across months, or even years of effort. They were clearly the product of hundreds of hours of time in the wild, and in the studio. But how does such an extensive project begin? I asked Bry how he chooses a theme for his recordings. The answer? Instead of consulting balance sheets of sales projections, Bry trusts instinct, and inspiration. He stressed that recording a collection isn’t a clinical, calculated process. It’s more intuitive to him. "I don’t think I am actually conscious of recording a theme deeply; I just follow where the universe sends me. This begins Bry’s journey to explore as much about a sound’s voice as possible. Is it possible a theme can capture every expression of wind, explosions, or freight trains? Is there a moment when every voice has been captured? I asked Bry if focusing on one topic makes it easier to create his collections. When does he know a library is complete and he can hang up his Rycote? Coverage is only one facet of sound library, of course. A successful collection needs clean, accurate recordings as well. However, to resonate with listeners, sound clips must include something more. How does Bry include this in his field recordings? His approach began with his work in game audio. In a way, sharing sound effects on his website has complicated this vision. What may be good for one sound designer may not fit the needs of another. I asked Bry how he copes with the variety of demands from his fans. And how is this done? Bry’s musical roots contribute directly to his field recording style. He shared one example of this while recording his North Country Trains collection. But where does this vibe grow from? How does Bry detect it, and embed it into his recordings? How can new recordists cultivate their own creativity? Many thanks to Frank Bry for sharing his time and his thoughts! Read about his recording experiences on his blog. 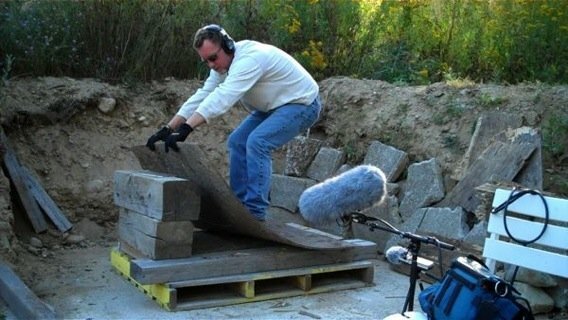 Visit The Recordist sound effects Web shop.